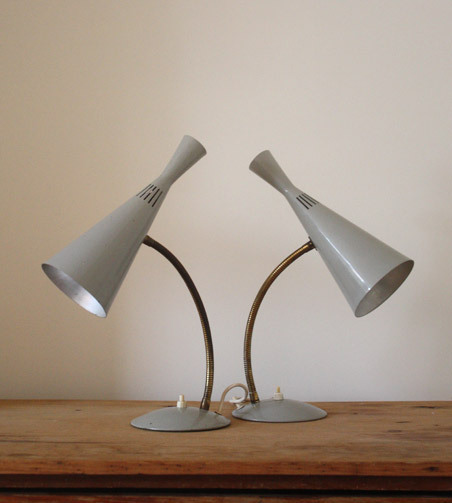 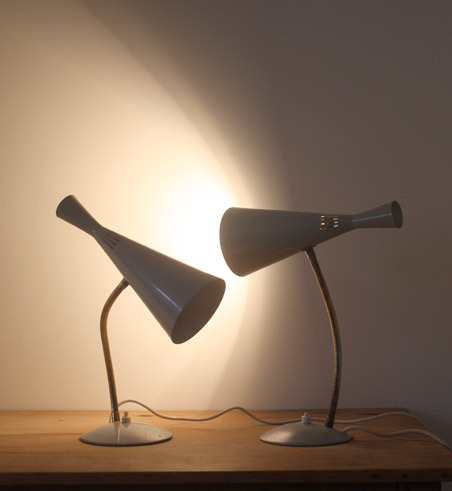 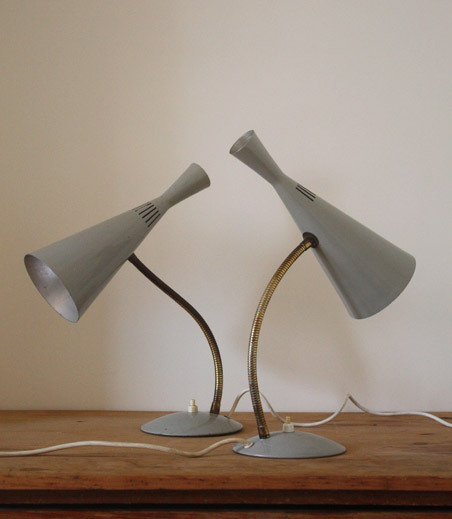 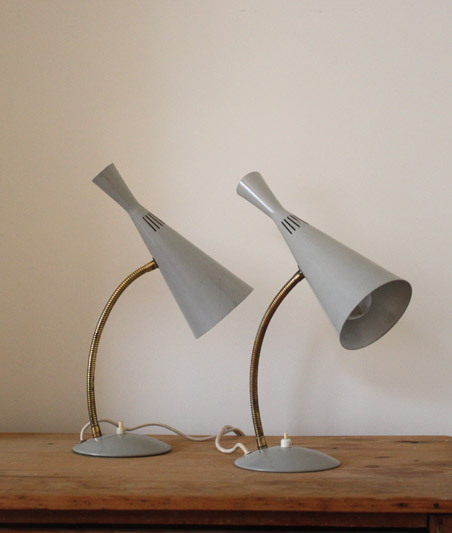 A pair of table lamps designed in the late 1950s by GA Scott for Maclamp, UK. 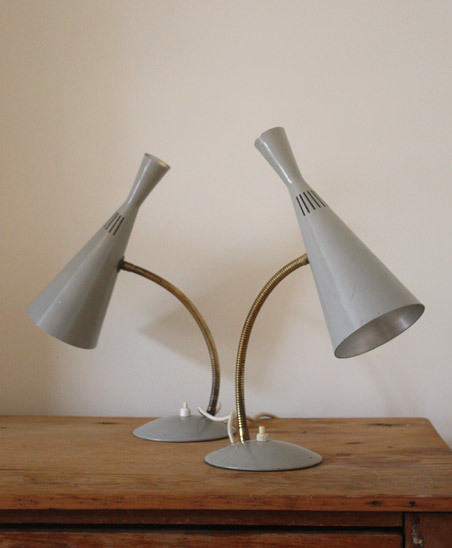 Light grey painted aluminium shades on brass goosenecks and painted bases. 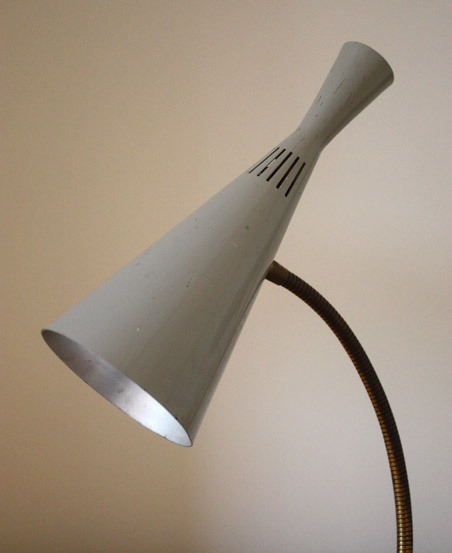 In good overall condition, one lamp has some scratches to the shade and base, please ask for detailed photos.